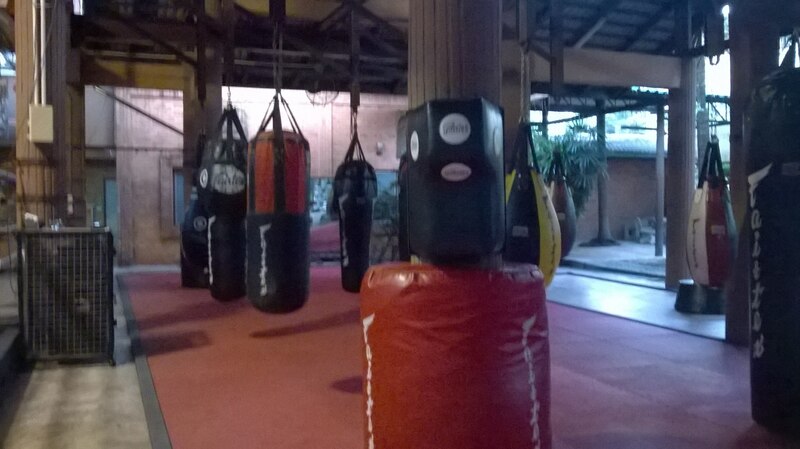 December 29, 2014 Martial Arts, Muay Thai, Personal Development, SportsThe Little fighter still has a big heart. This week I’ve spent all of my time with my nearest and dearest and absolutely no time at the gym. Although I may of thrown in the occasional run here and there. In fact I’m thinking of doing another one tomorrow. All this keeping in shape lark. And at Christmas. What’s wrong with me hey? Being in a mildly warmer climate has it’s advantages at the festive season. Mainly, it’s a lot more relaxed and I’ve always found it helps to give me clear focus for what I want to achieve with training and otherwise. It seems sometimes my goals lay themselves out like a tapestry of intention. Although the ways to achieve them aren’t always as clear cut as I’d like, I’ve found that usually the journey will outweigh the destination. There’s a lot I still want to achieve with Thai boxing but rather than frustrate myself with what can sometimes seem like slow progress, I’m more content with letting things develop as they naturally develop. I’ve mentioned previously that at points I’ve found myself caught up in over analysis and really when that happens you have to remember the reasons why you train in the first place. So next year, rather than focus so much on my destinations I grow weary of the journey, I’m going to spend a lot more time getting back to the journey and enjoying the learnings and improvements as they come. A little voice has been telling me for some time now ‘sometimes it’s all about training for trainings sake.’ I think it’s time I started listening to him. This doesn’t mean I’m going to take the foot of the gas, I guess really I’ll do my best to stop thinking so much. After all sometimes you have to take things as they come. I’ve noticed of late how much internal clutter there seems to be when it comes to me and training and me and a lot of things. A lot of different voices all wanting to get their point (usually angrily) across. A lot of clutter. So I’ve done my best to be mindful. And as with everything else it takes a lot of time, a lot of focus and of course it’s a work in progress. I’ll let you know how that goes a little later down the line. Looking forward to hearing more about your future blogs in 2015! Do let me know if there are any you’d like to share through my SMA blogger site. Thanks Dave, and yeah may well do that next year. 🙂 All the best for 2015!